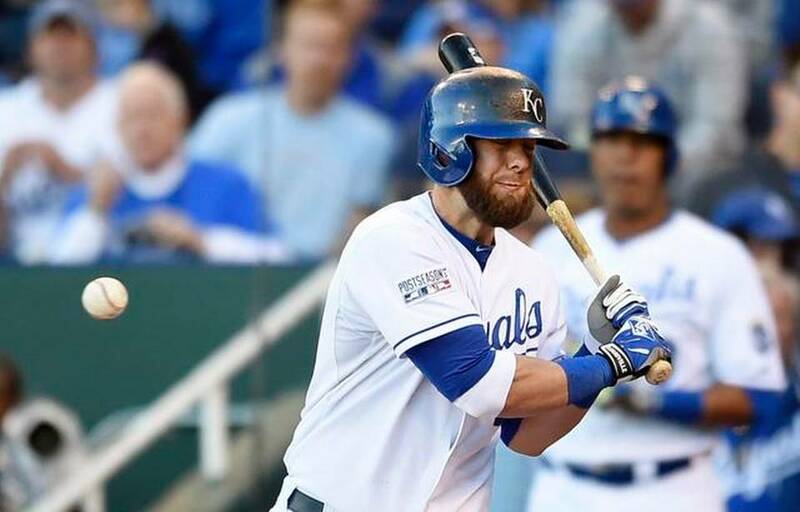 The 2015 Kansas City Royals: So Now What? If you are a fan of the Kansas City Royals, this time of year is normally spent pondering whether or not this is the year the Royals break through the glass ceiling and reach the playoffs. So many years went by wondering ‘is this the year?’ that it started to feel like it was never going to happen. The jokes about Ewing Kauffman selling his soul to get the Royals a championship back in 1985 started to feel like they were actually true and explained the playoff drought this franchise held for 29 years. But this is all a distant memory, as the Royals are not only coming off of their first playoff appearance since that ’85 season but also came one long bomb away from a World Series title. It was a magical October for the entire city of Kansas City and made believers out of the most jaded of us(What, me?). So this is uncharted territory for us headed into this 2015 season and has thrown up a giant question mark going into Opening Day. The question has to be asked; so now what? Let’s start with the changes, as there are a few differences with this roster than the one who guided the Royals through the playoffs. 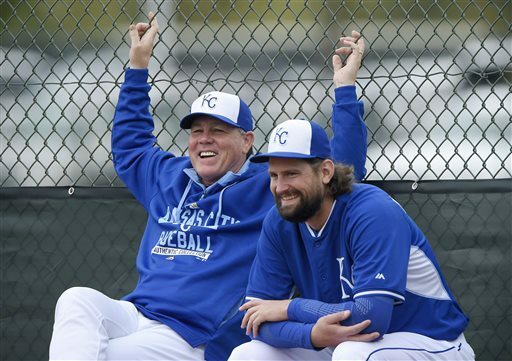 Two big cogs of last years team are gone: James Shields and Billy Butler. You can also add Nori Aoki to that list, along with Josh Willingham and Raul Ibanez off the bench. Shields was not only the leader of the Royals rotation the last two years but he also brought confidence and guidance to youngsters like Danny Duffy and Yordano Ventura, helping them turn a corner in 2014. Yes, intangibles! Butler had been with the organization since he was drafted in 2004 and was a fan favorite. Butler’s numbers weren’t quite on par in 2014 with his earlier years but was still a solid bat in the middle of the order. Aoki struggled to begin his Royals career but saved it by finishing hot the last 6 weeks of the season and giving us many a memory. To replace them on the roster the Royals signed Edinson Volquez, Kendrys Morales and Alex Rios this offseason, 3 players with questionable pasts who are being counted on to make solid contributions this year. Volquez is the only one of the three coming off of a solid year for Pittsburgh, but he is not the replacement for Shields; instead that honor goes to a true “Ace”. Young “Ace” Ventura becomes the Royals new #1 starter and will take the mound at Kauffman Stadium on Opening Day. It’s hard to argue with this, as Ventura showed the world he was for real during the playoffs, most notably a superb outing in game 6 of the World Series, a game that could have been an elimination game for the Royals. 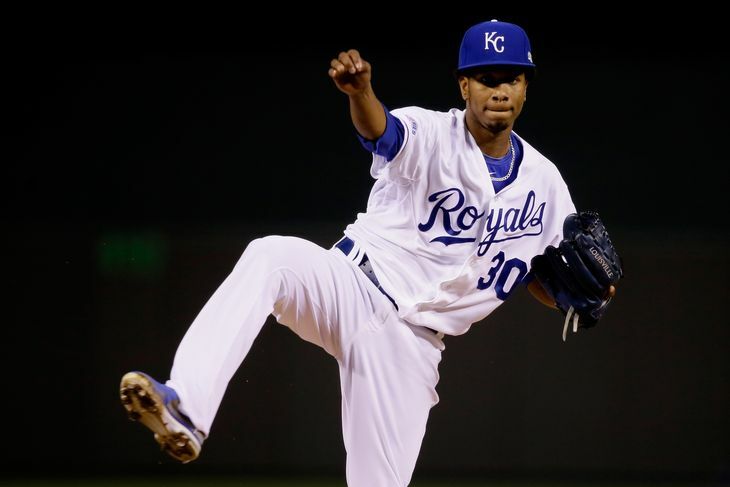 It’s a lot of weight on Yordano’s shoulders, but he seems able to handle the pressure that comes with being “the man”. 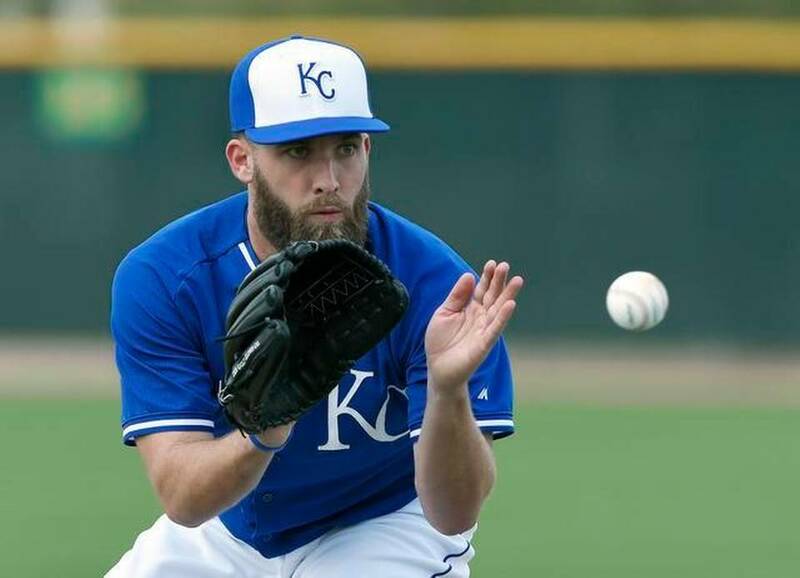 Danny Duffy will slide into the role of #2 starter and the hope is last year was a glimpse into what to expect from “Duffman”. There are some concern about Duffy and his injury history, but as long as he continues to throw strikes and let the defense work in his favor, he should be fine. Jason Vargas, Volquez and Jeremy Guthrie will round out the rotation and hopefully all three can continue to put up the numbers they had in 2014. Vargas defied his own career numbers last year and turned out to be a pleasant surprise while Guthrie continues to make no sense, a pitcher who allows a lot of baserunners yet not many score. Also remember that the Royals could add Kris Medlen to the rotation around August if all goes according to plan. I wouldn’t expect this to happen, but it very well could as Medlen recovers from Tommy John surgery. The Royals rotation isn’t going to match up with, say, Washington’s, but as long as Kansas City employs their elite defense they won’t need them to be Cy Young candidates. They just need them to throw 5-6 innings an outing, giving up 3 runs or less, or give the team as many quality starts as possible. This section will probably feel a lot like the 2013 Royals…or the 2012 Royals…anyway, you get the hint. The last couple of seasons the Royals offense hasn’t been a force to be reckoned with. In fact the last 2 seasons we have seen the team struggle offensively the beginning part of the season so badly that the last 2 May’s they have been forced to change hitting coaches to get the offense to pick it up. 2014 was no different in that the team was in the bottom third of the league in OBP, Slugging, OPS, Total Bases, and dead last in Walks and home runs. There a couple positives; the team does get quite a few hits (3rd in the AL last year) and is first in stolen bases. Now I don’t expect this team to ever be an offensive juggernaut, but the two areas that could be improved on would be extra base hits and walks. They were 4th in doubles and 5th in triples last year, which would be great if they could hit more home runs(not a ton more but some) and take more walks. There are times this team becomes a station to station team, which doesn’t work with as little power as the Royals have. So will there be a difference in these numbers in 2015? The answer to that question is a loaded one. There are some that believe that the additions of Morales and Rios are the keys to how this offense does, but I actually don’t agree with that. The real key to the Royals offensive season will be whether or not Eric Hosmer and Mike Moustakas improve on their awful 2014 regular season. For Moustakas that will mean learning to hit the ball to the opposite field and taking advantage of that left side being open when teams put the shift on him. Those shifts killed Moose last year, as he continued pulling the ball despite the fact that teams would fill up the right side of the field when he came up to the dish. He also needs to drive the ball more this year, as his 21 doubles and 15 home runs could be improved on. His walk rate was up last year and his strikeout rate went down, so he did have those positives going for him. 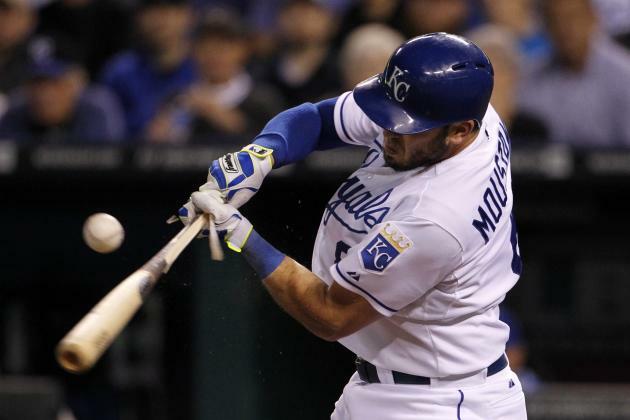 But those were about the only positives when it comes to Moustakas in 2014. Hopefully his power surge in the postseason carries over into this year and if so that would mean improved numbers in 2015. If you didn’t follow the Royals until October you would think Hosmer was a middle of the lineup force for Kansas City in 2014, but you would be wrong. Hosmer struggled for a good portion of the season(what I have started calling his ‘yearly swoon’) and didn’t really start producing until his return from the disabled list in September. Sure, he had a respectable .270 average and a solid 35 doubles last year, both are in the positives of his season. But his slugging percentage was below .400, he didn’t reach double digits in home runs, finishing the year at 9(in fact he didn’t even hit his 5th HR of the year until July) and he was awful in clutch situations. Add in an absolutely putrid June where he looked lost at the plate and you have a guy who is about as streaky as it gets. 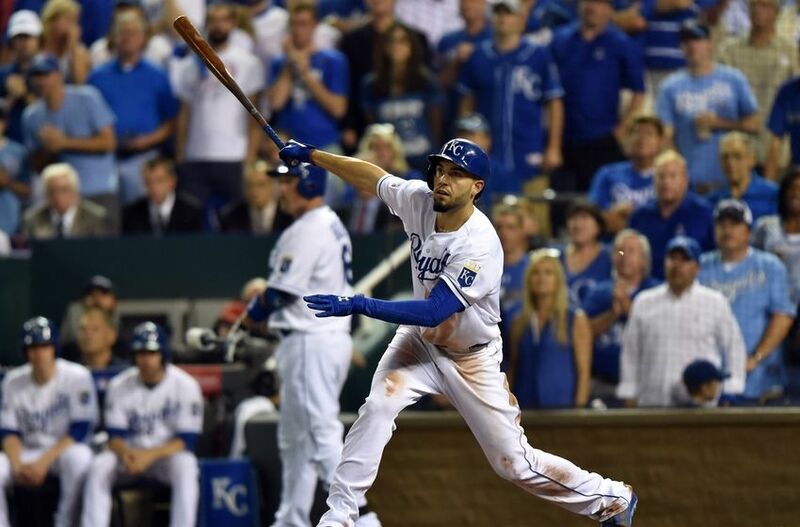 The Royals worked with Hosmer and re-tooled his swing late in the year and it paid off in the playoffs, where he had 6 extra base hits and drove in 12 runs. If that Hosmer shows up this year, this team will be improved on offense. It would also help if he could avoid his ‘yearly swoon’. The last 3 seasons he has spent a long stretch of the season in a funk at the plate where he just looks lost and his swing is a mechanical mess. A little bit of consistency would go a long way for Eric as he heads into his 5th year in the big leagues. The rest of the offense could use some improvement as well. Alex Gordon had another good season last year and looks to be returning to the top of the order this year, as it appears he will be hitting 2nd to begin the new campaign. Salvador Perez fell a bit offensively in 2014 but a lot of could probably be contributed to him catching the most innings in major league history. One of the items on Neddaniel Yost’s ‘to do list’ in 2015 is to give Perez some much needed days off. Sal will never have great plate discipline but it could improve with a little bit more rest. 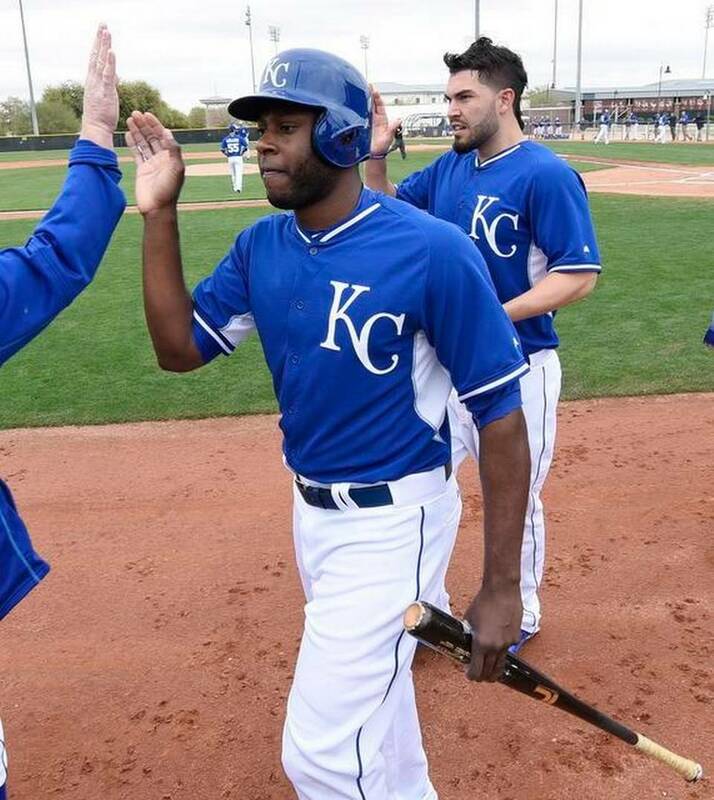 Lorenzo Cain is coming off of a great 2014 and will start the year batting 3rd for Kansas City. Cain had a ridiculous .380 average on balls in play last year, which will probably fall a bit but if he can even get close to that number again he would looking at another good season. Alcides Escobar will return to the leadoff spot this year and hopefully he can avoid his ‘every other year’ curse he has had in his major league career. Also, if he is going to stay at the top of the lineup they will need him to take a few more walks than the 23 he had last year. Omar Infante is coming off a rough first season in Kansas City and more than anything just needs to be healthy in 2015. That leaves us with the two newbies, Morales and Rios. 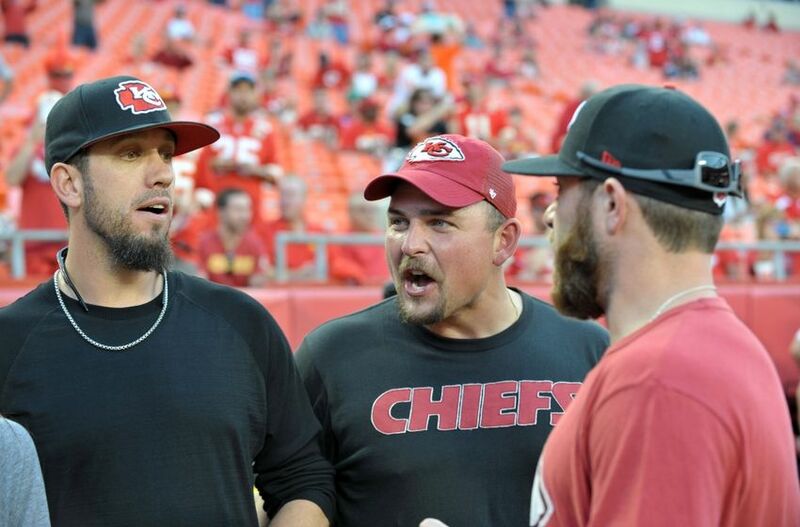 The hope by Kansas City management is that both will bounce back after rough seasons in 2014. Both are sitting at their regression years and we probably won’t see them put up All Star numbers this year, but the Royals don’t need them to. As long as they can be compotent and improve on last year they should be a plus. It does appear Rios will go into this year with his thumb injury, an injury that hindered his swing and sapped his power in the second half of last year. These two aren’t keys to the Royals season but it would be nice for them to produce close to what Butler and Aoki did last year for Kansas City. Scout told me today that the Royals bullpen "looks tired as hell." Specifically mentioned Greg Holland, FWIW. Hopefully it’s nothing major, although even if one of these three go down, there are other arms that can slide in. Luke Hochevar is returning from Tommy John surgery and should be able to go sometime in the next couple months. Jason Frasor is a former closer and was a great pickup for Royals GM Dayton Moore last summer. You could also throw someone like Brian Flynn into the conversation, a reliever acquired from Miami this offseason, a flamethrower that went to Wichita State. 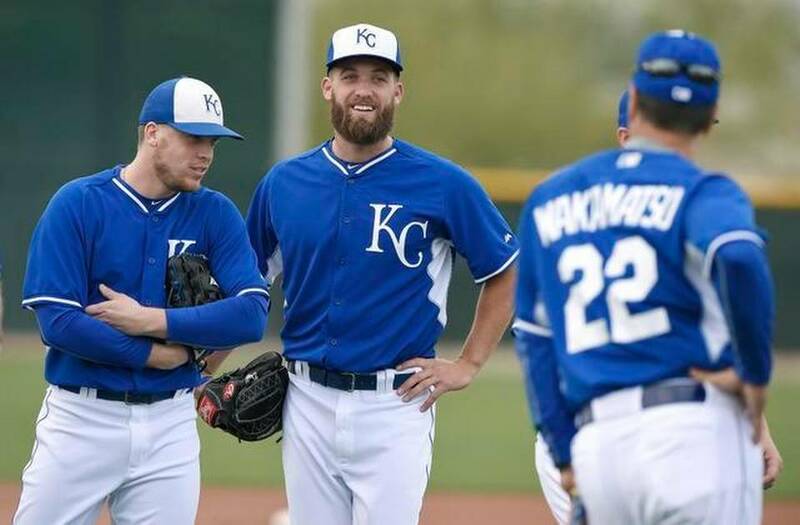 The Royals trio might not be able to be AS great as they were in 2014, but this group might be even deeper than it was for Kansas City last year. So that leaves us with the inevitable question; where do I feel the Royals will finish this year? Most projections have had the Royals under .500 and sitting in 4th in the American League Central. I can see where they come up with this, as we are talking about a team that didn’t really get hot until the last few weeks of the 2014 season. Add in the free agent losses, the giant question marks on the new acquisitions and how Cleveland and Chicago have improved in the Central and you can see why there is some skepticism. Some think it is being disrespectful to the defending American League Champions; I see it as realizing the flaws that Kansas City does have. That being said, outside of the team dealing with some major injuries, I think they will be in the hunt for a playoff spot. Unfortunately, I also think they will fall just short of that, probably sitting in the 81-84 win mark this year. It’s hard to believe the entire offense will improve and that the rotation won’t have a few faltering parts, and I can see the team hitting a snag in the road at some point in the summer. The solid to all of this is that this will still be a contending team and for years that is all that we have asked for. I would rather see them contend and fall short than be an afterthought and have fans start focusing on the Chiefs come August. If this team is still in the race come September, then I will be a happy man. 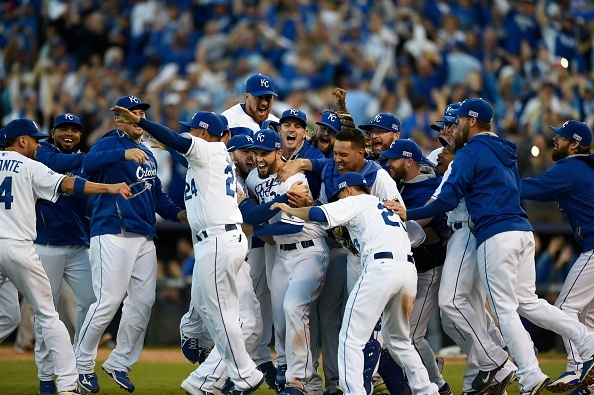 Let’s be honest; it’s going to be hard to top the Royals playoff run last October. But the competitiveness in me says “Maybe so, but lets give it a try”. This is what competitive baseball is folks; hopefully it becomes a regular occurrence. 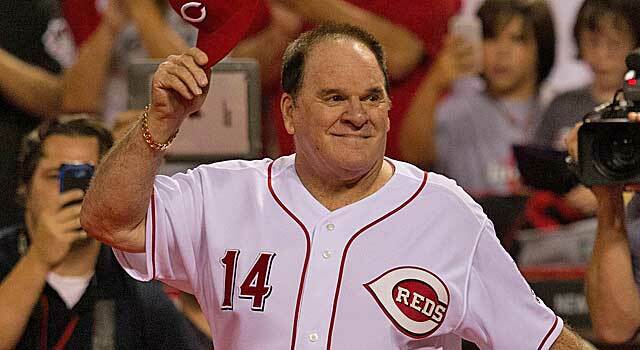 Say the name Pete Rose and you are bound to hear many a varied opinion. If there was one former player who is a lightning rod for controversy and passion it would be the man nicknamed “Charlie Hustle”. We all know the story of Rose, one of a man who has fallen from grace because of his vices. This week we found out that Rose has sent a formal request to new MLB Commissioner Rob Manfred to have his lifetime ban lifted, a ban that has been in effect since August of 1989. Many in and around the game are on Rose’s side in this argument, including the executive director of baseball’s players’ union, Tony Clark. But should Rose have his lifetime ban lifted? This hasn’t been posted for just a few years, or a couple decades; it’s been in clubhouses for close to 100 years. So from the moment Pete Rose walked into a professional baseball dugout he was aware of the dangers and punishment if he gambled on the game. Yet he did it anyway. 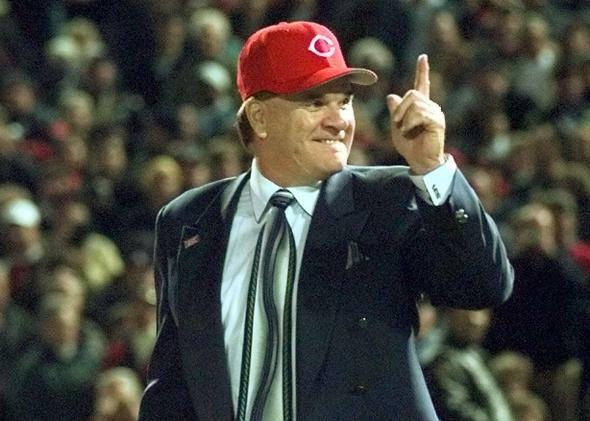 In fact while manager of the Cincinnati Reds, he gambled on his team. Now, he always has said he “bet on them to win” but does this even matter? He broke rule #1 in the game he loved, a rule that he knew if broken would cost him. It cost him alright; it cost him inclusion into the game that was his life. But he knew the risks and he knew he shouldn’t do it–and did it anyway. I’m not even for sure he feels as if what he did was wrong. Which means much like the fans clamoring for his reinstatement, he doesn’t grasp the severity of gambling in baseball. “Despite what the commissioner said today, I didn’t bet on baseball,” Rose told the media. He does, however, admit that he bet on other sports. “I made some mistakes and I’m being punished for mistakes,” he says. Maybe it’s just me, but it just feels like Pete found a way to give people what they wanted(the truth) while also making money. It didn’t feel like someone getting something off his chest, relieving himself of guilt. It felt like a man trying to manipulate people’s feelings for him. It didn’t feel like remorse. Only remorse he got caught. Morgan actually shed a tear as he talked about his longtime teammate and what had become of his life. And Schmidt visibly agonized in frustration over Rose’s inability to do and say what seemed so obvious to those of us not living inside the Hit King’s skin. “If it were me,” Schmidt said, “and I had lived a lie for 14 years, and I went up to tell the commissioner that I was sincerely sorry for what I’ve done to my family, to the sport, etc., I probably would be back in baseball now and in the Hall of Fame — because I would have been a tremendously remorseful individual. And I would have felt the burden of that the rest of my life, in everything that I did. And I would have, in my travels, been a totally different person. There were no promises made to Rose that day in 2003. But Schmidt went into stunning detail about the topics on the table in that meeting. The men in that room actually talked informally, he said, about how Rose should go about holding a news conference to admit what he never could admit all those years: that he’d bet on baseball. They kicked around when he should hold that session. And where. But the men in that meeting also talked about the changes in lifestyle Rose was going to have to make. No more trips to Vegas. No more hanging out at the racetrack. That was going to have to stop. And, of course, none of it ever stopped. Not then. Not now. But the nature of the conversation tells you how much momentum was being built for Rose’s reinstatement. It may not have been imminent. But it was clearly within reach. But that plan never even made it onto a crumpled up sheet of scrap paper in Selig’s office. And that was no one’s fault but the Hit King’s alone. People in the commissioner’s office are still muttering that Rose’s first public stop after leaving Selig’s office was an appearance at a Vegas sports book. 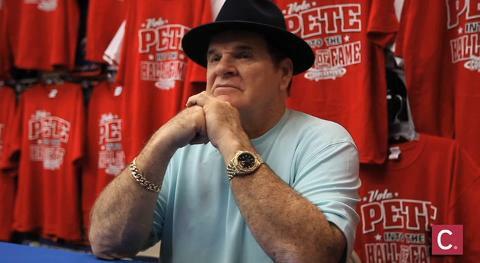 It wasn’t quite the reconfiguration of Pete Rose’s life they had in mind. If you have ever wondered why Pete Rose hasn’t ever been reinstated, and why I feel he shouldn’t ever, those last few paragraphs tell so much. 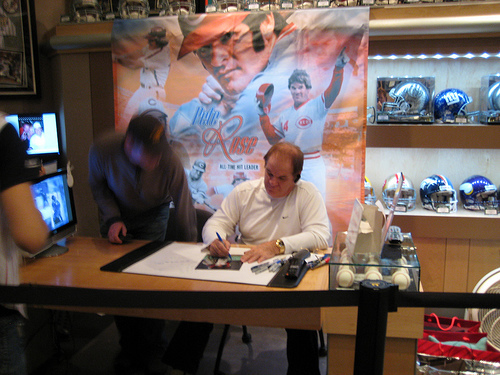 The reason why Pete Rose should never have his lifetime ban lifted is because of the lifestyle he just isn’t willing to give up. The biggest issue baseball will have to look at is whether or not Rose has reformed, or whether Rose is living the gambling lifestyle. There is nothing we have seen from the last few years that says he has changed. Rose lives 1.2 miles from the Mandalay Bay Hotel & Casino in Las Vegas, where he signs autographs in a mall music store. 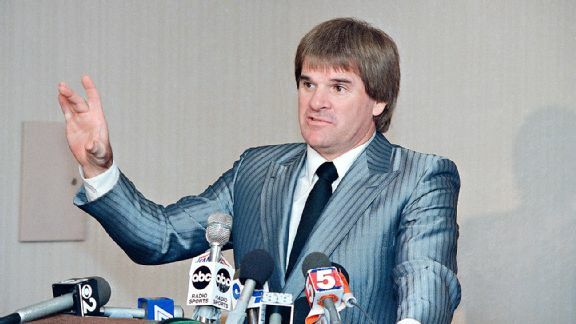 Go back and re-read that; Pete Rose, noted gambler who says he wants a second chance, works in a casino. Sure, Rose will tell you things are different and he would never gamble on baseball again. But lets be honest; Rose lied for 15 years, telling us he didn’t bet on his team. He came clean 11 years ago but where does the truth and lie begin and end? As much as we all want to believe Rose can be this better person who would put the game ahead of his own wants and needs, I’m not so sure that person exists in him. Rose has much in common with players who are suspected of PED use and have denied it for years; they believed they were untouchable. They believed because of who they were they would never get caught. Well, Pete got caught and has spent the last 25 years trying to convince everyone that he was the victim. The honest truth is Pete put himself in this situation. Pete created this mess; his decisions led him to this place and time. There is one rule that everyone that plays, umpires, manages or is a club official has to follow no matter what; don’t gamble. Rose broke that rule and has spent all these years trying to convince everyone that he did nothing wrong. The reality is he broke the one rule that will end your career in the sport. No reinstatement, no Hall of Fame, no nothing. This is the bed Pete Rose has made for himself; it’s time for him to admit he must lie in it. One of the great things about Spring Training every year is that it’s the beginning for younger players to show what they can do. It’s also a proving ground for wily veterans to work with a clean slate and start anew. Every year there is a surprise(Arizona) player(or players) that the big league club didn’t have penciled in as a part of the major league team that leaves them with no other choice than to bring them up north to begin the season. There is no guarantee that any of the players I am going to bring up here will be with the team on Opening Day against Chicago but they are all interesting cases that are with the Kansas City Royals this spring for a variety of reasons. Some you will have heard of, others this will be the first time. But what they all have in common is they want to be in Kansas City to start the year. Binford won’t ever be a top of the rotation starter but could very well fill out the back end of the rotation sooner than later. Binford’s ability to throw strikes and pitch to contact should be a plus with Kansas City’s defense. So don’t be surprised if you hear Binford’s name again before this season is over. 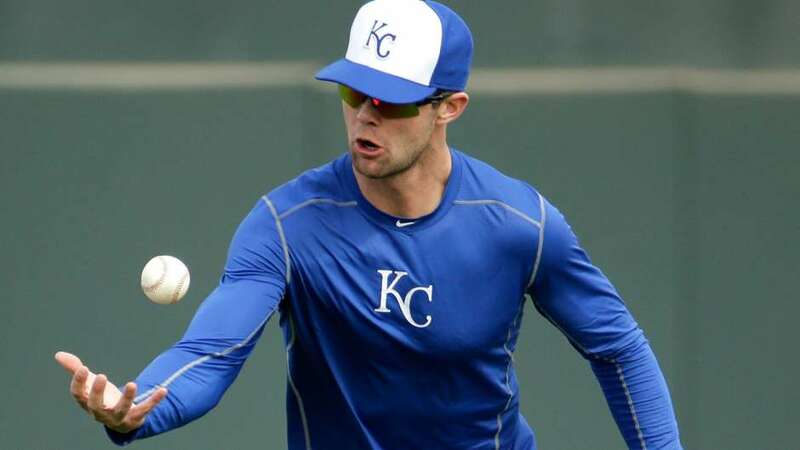 Let me clarify here–Bubba Starling will not be on the Royals 25 man roster on Opening Day. That is not why Starling is in camp this spring. He is in camp to get a feel for what goes on at big league camps and learn from the Royals coaches and players. It at least sounds like he is getting adjusted, as Starling started hitting the ball finally in a game, as he struck out his first five plate appearances this spring. 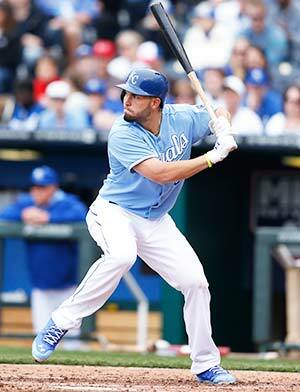 The Royals are still holding out hope for the 2011 first round pick, as he is still only 22 years old. Starling’s struggles have been well documented and there is some concern that he might never reach the majors, at least with the numbers he has compiled so far in his minor league career. The hope is that rubbing elbows this spring with the likes of George Brett, Alex Gordon and Eric Hosmer will light something under him and will at least bump his career in an upward trajectory. No matter what, the experience of being at big league camp this spring has to be viewed as a positive for ‘The Man They Call Bubba’. Hopefully the Royals are able to retain him and keep him stowed away until he is needed. He could be an interesting add to a bullpen late in the season, if the team is making a playoff push. Nothing like another solid arm for an already elite bullpen, if you ask me. I find Pena to be an interesting case. 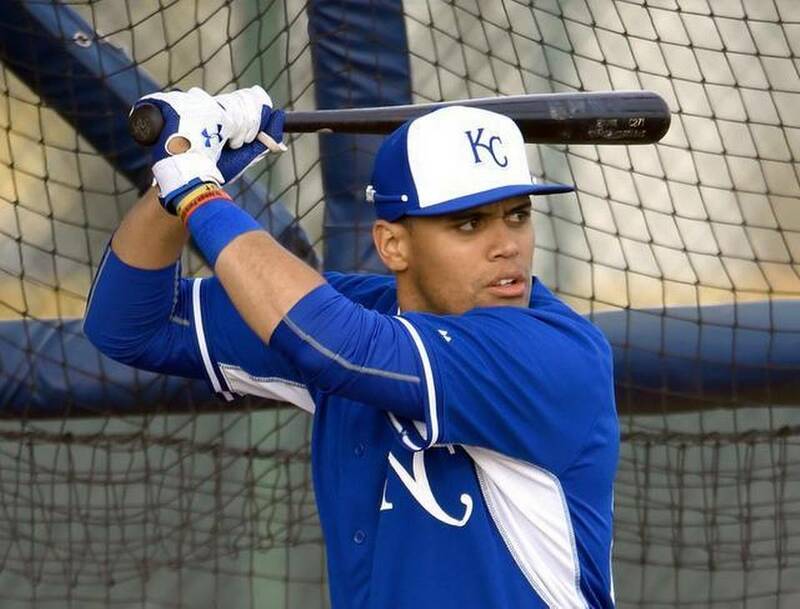 For one, he is the son of former Royals skipper Tony Pena. Two, Pena has been in the minors since 2007 and has cleverly avoided the “prospect” term for the majority of that time. In fact you almost wondered when the Royals acquired him before the 2014 season if they did it because a)of who his dad is or b)they thought his brother, Tony Jr.(former Royals SS) had changed his name or c)they just needed some depth at the catchers position. C seems to be the most likely answer but little did we know that Pena would put together a solid offensive season last year in Omaha, compiling 27 home runs, a.515 slugging percentage and an OPS of .795. Hey, not ‘blow you out of the water’ numbers, but impressive for a guy who had hit a combined 40 home runs the previous 7 minor league seasons. 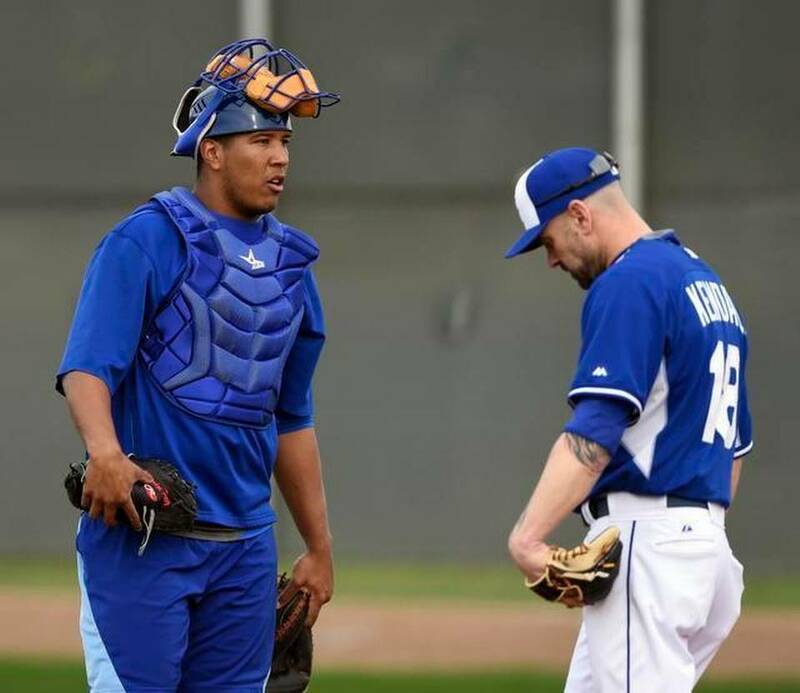 At this moment it appears that Salvador Perez’s personal caddy, Erik Kratz, will be the Royals backup catcher, but if something were to happen to Kratz while sitting on the bench(or getting Perez a cup of water), Pena could see some action in the big leagues. There is also the possibility that Perez will break down like an old Buick due to all the innings manager Ned Yost makes him catch, but I hate the idea that this thought even creeps into my brain. Instead know that Pena is an outside shot to make the big league club but a possibility to warm the bench later in the season. Morales might have the best chance of this group to make the Royals this spring, if for no other reason than because of an injury. 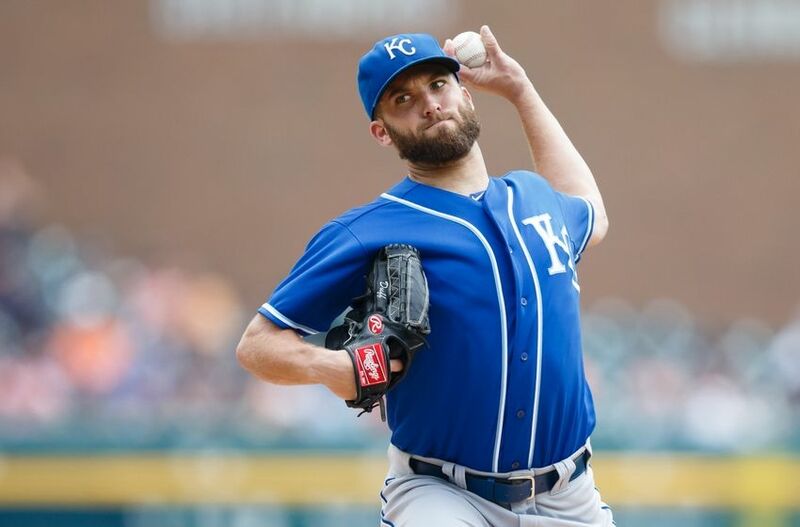 Royals left handed reliever Tim Collins has ligament damage in his left elbow and very likely could have Tommy John surgery and miss the 2015 season. That would leave Kansas City with a decision to make in their bullpen, including whether the team should go with another lefty to take Collins’ place in the pen. 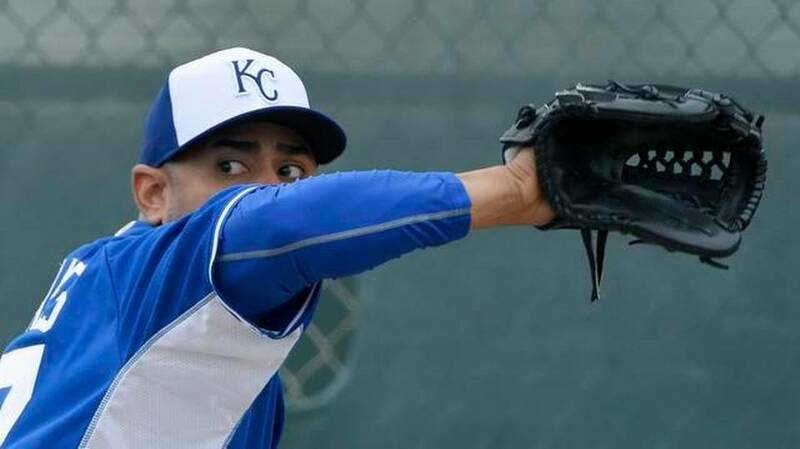 If they go the route of adding another lefty, Morales very well could be the answer. Morales has flipped back and forth between being a starter or a reliever the last few years with Boston and Colorado, so he is familiar in either role. 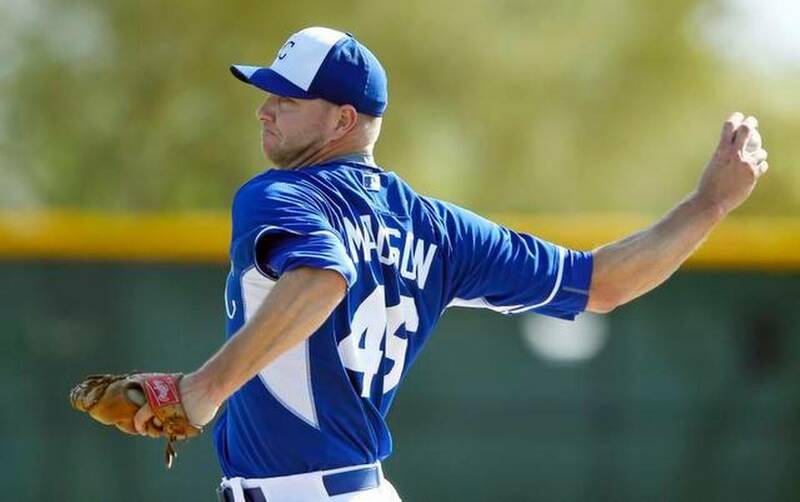 But the Royals specifically signed him to work out of the pen and that is his best shot at a job for the team. Last year Morales pitched well against left-handed batters, with his splits showing a noticeable difference. In fact if the team wanted to use him as a LOOGY(a left-handed specialist who would primarily pitch to left-handed batters) I think he would be quite successful in that role. 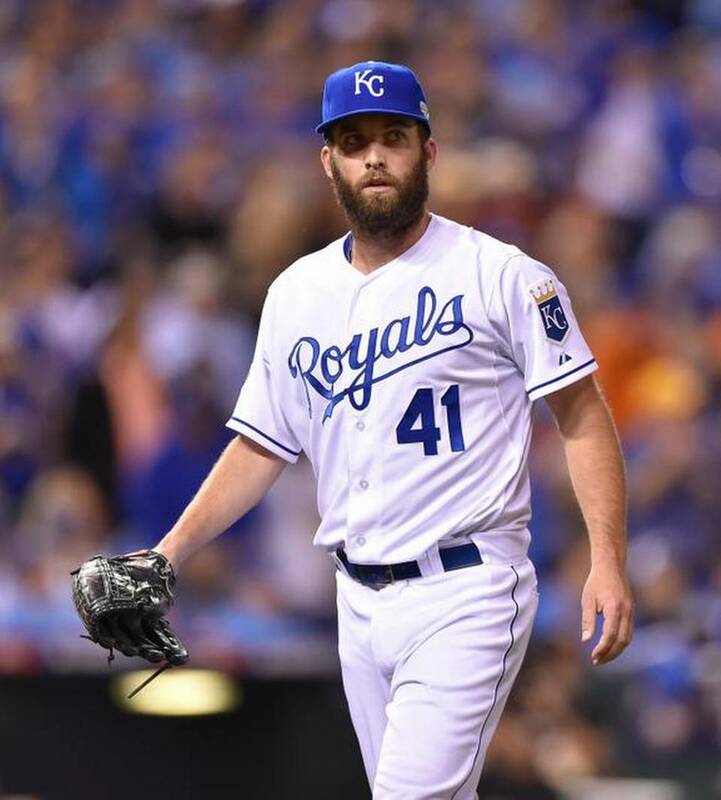 A lot of factors will determine whether or not he goes north with the team in April, such as whether or not Luke Hochevar is ready or whether the Royals plan on carrying an 8 man bullpen or not. The other factor is whether or not the team wants to keep Brandon Finnegan as a reliever or if he gets sent to the minors to begin the process of starting again. Either way, a good spring from Morales would go a long way to deciding his fate. A good spring makes the Royals decision harder. A bad spring and Morales is either in Omaha or on the unemployment line, although not for long; I mean, he is left-handed. A few weeks still remain in Spring Training, so things could unwind even more before the team heads back to Kansas City to start the season. There’s a good possibility we see a few of the names mentioned here at the least or maybe even most of them. It’s one of the great things about baseball; you never know how a season will unfold. All we know at this point is most of these players are fighting for a spot and want to be with the team the first week of April at Kauffman Stadium. It’s been said before and will be said again; hope springs eternal. Spring Training is underway, which is cause for celebration within itself. But there is also celebration if you are a Kansas City Royals fan because for the first time in 29 years the Royals are the defending American League Champions. Maybe the most asked question over the last month(by pundits and fans alike) has been whether or not the Royals will be able to make the playoffs two years in a row. In due time I will throw my thoughts out there on that subject, but for now it is easy t0 see that the American League Central will be a fight possibly among four teams(and I think Minnesota will not go quietly into the night). For the Royals to be in that conversation they will need the starting rotation to be at the same level they have held the last two years, even with James Shields now calling San Diego home. That means Danny Duffy needs to step it up yet another notch. Heading into 2014 it didn’t appear that Duffy was going to be a major part of the team’s rotation. 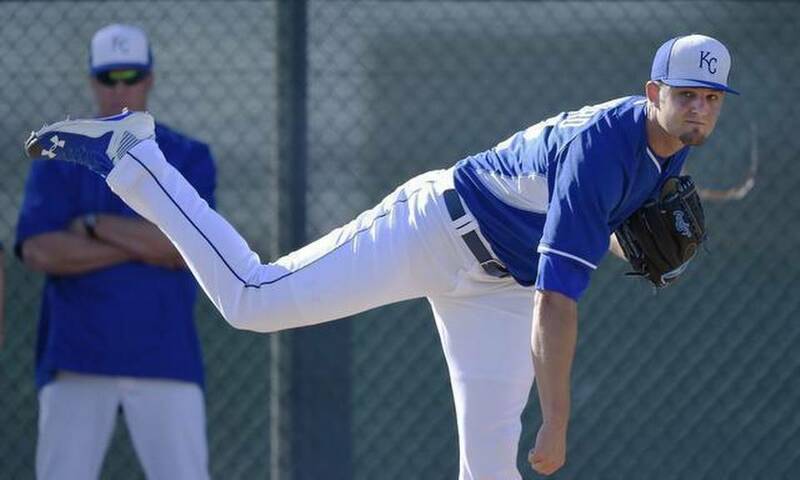 Duffy had struggled throughout Spring Training and by the time the season started he was pitching in Omaha. When the Royals did finally call him up he was being used out of the bullpen and seemed to find a bit of success there. But the end of April saw a couple of awful outings out of the pen and questions as to where Duffy should go from there. Luckily for Duffy, Bruce Chen came down with an injury, forcing him into the rotation. His first outing was nothing spectacular, but within a few more starts he started pitching more efficiently and was putting up numbers that Kansas City management always knew he was capable of. A large part of his success could be attributed to his ability to pitch to contact, letting the Royals stellar defense get the outs while reducing Duffy’s pitch count. In fact keeping his pitch counts down led to him pitching deeper in games while still lessening his workload. 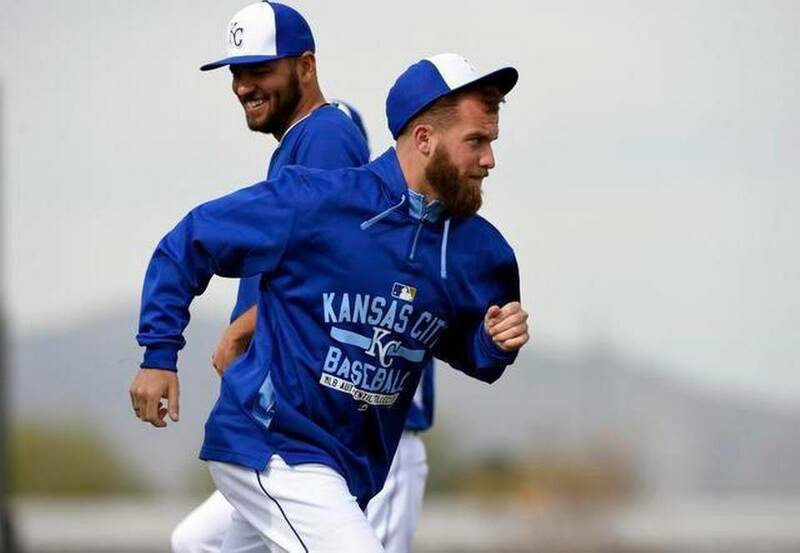 It seemed as if Danny Duffy had finally figured out the key to success. Then in September Duffy threw one pitch in a start in New York before being taken out of the game for health concerns. Then there was the horrible outing in Chicago where Duffy couldn’t throw a strike from the windup and was forced to throw from the stretch. Once the playoffs came around Duffy was exiled to the bullpen and appeared in only a few games, normally for just a few innings at a time. It wasn’t until after the World Series had wrapped up that we found out that Duffy had been dealing with a ribcage injury. So where does this lead Duffy to in 2015? 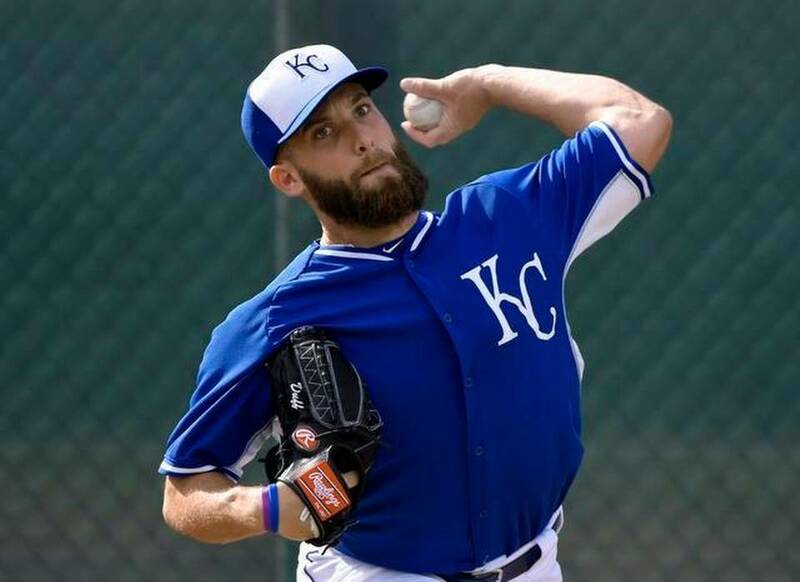 The Royals are counting on him to be a major part of the rotation, possibly as high as the number 2 starter with Shields leaving and Yordano Ventura (hopefully) taking over the role as team ace. Obviously there are concerns about Duffy heading into this season, mainly concerning his health. 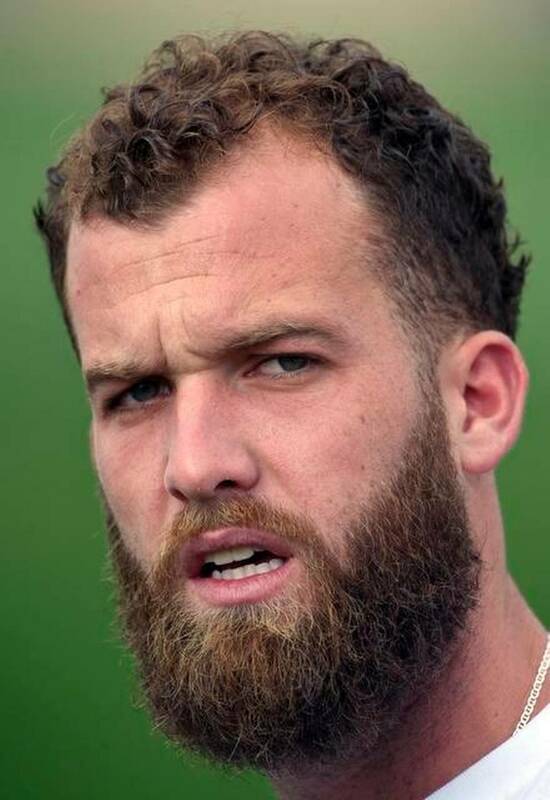 Duffy took the first step toward alleviating those concerns, changing his physique over the winter and his workout routine. Duffy cut back on fast food(changing up his diet), cut back on the amount of running he normally does and worked out more in the gym. The point is to keep him healthy so he would be able to log 200 innings this season, which he has never been able to do in his career. The change is noticeable this spring, as Duffy has gained some muscle mass, bumping up from his 2014 weight of 195 to a stealth 212 pounds. But his health isn’t the only concern this spring. I mentioned earlier that a key to Duffy’s success was pitching more to contact, which is shown in the numbers. His ground ball to fly ball ratio was up as was the balls in play percentage(up to 69%, as his career percentage before was around 63%) and his walk rate was down as well(down to 8.8% from 13.5 in 2013). But his strikeout rate was also down(18.7 from 21.2% in 2013 and 23.1% in 2012) as was his velocity, although I’m not as concerned with that as others. In my mind Duffy’s velocity was down to help his command and throw more strikes. In the past Duffy had a habit of hunkering down late in the count, looking for the strikeout. The change in philosphy though meant he needed better command so he would dial the heat down 1 or 2 miles per hour. Because of that he had very favorable stats when it came to accuracy. His strike percentage was up to 63.8%(from 59.8% in 2013) while his contact percentage was sitting at 83.1%, up from 75.4% in 2013. So with him throwing more strikes, more of those pitches were put into play, meaning his pitch count was kept down while pitching deeper into games. The other positive from this new change was the ability of getting ahead in the count. Duffy’s first pitch strike percentage rose up to 59% last year while the amount of 3-0 counts he faced was at a career low, 5.4%. To add to this his strikeout looking percentage went up, 31.0% from 27.3%, which means Duffy was able to mix his pitches better and keep hitters off guard. It makes sense then (especially with Kansas City’s ‘Grade A’ defense) that Duffy’s BAbip(batting average on balls in play) of .240 is sustainable if he can continue attacking the hitters and pitching to contact. The real question will be if some of his velocity comes back, even just to keep the hitters guessing. With all this said, the Royals need Danny Duffy to be the guy he was for the majority of 2014. 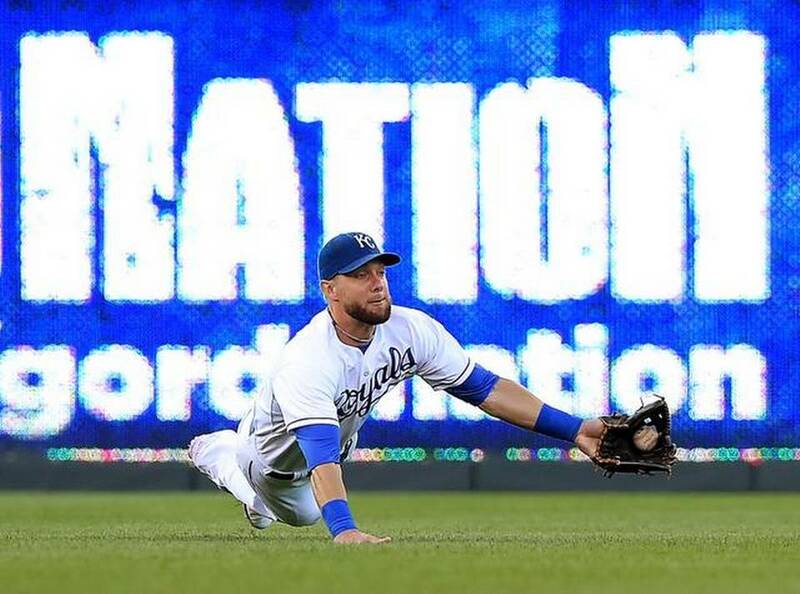 If he can do that and stay healthy, the Royals have a good shot at capturing the American League Central crown. But if Duffy falls back(or can’t stay out of the trainer’s room) the Royals could have a problem filling out their rotation. Sure, the Royals need Eric Hosmer, Mike Moustakas and Salvador Perez to improve the offense this year, and bounce back seasons from Kendrys Morales and Alex Rios wouldn’t hurt. 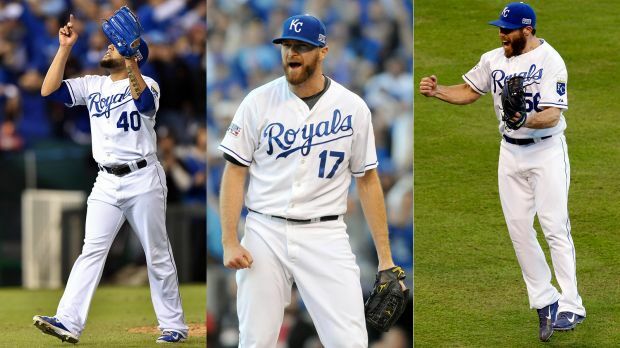 But the key to the Royals success this season lies in their rotation and there is no bigger key to it than Duffy. Without him, the team will need to find innings from somewhere; unfortunately Omaha might not have an answer for them. In 2015, the Royals need Duffy to be as gnar as he can be.